 The global fracking chemicals market was valued at USD 25.2 billion in 2017 and is anticipated to grow at a CAGR of more than 11.0% from 2018 to 2026. Fracking, also known as hydraulic fracturing, is a process of injecting water, sand, and chemicals underground at extremely high pressures to crack open rock layers to release the oil or gas trapped inside. Oil and gas companies add chemicals to the water used for fracking to decrease friction and prevent corrosion. Fracking chemicals can be foam-based, water-based, and oil-based among others. Some chemicals used for fracking include Hydrochloric Acid, Ammonium Persulfate, Choline Chloride, Sodium Hydroxide, Ethylene Glycol, and Magnesium Peroxide among others. The increasing demand for energy and electricity worldwide primarily drives the growth of the fracking chemicals market. The increasing trend of horizontal drilling, and growing adoption of natural gas as a fuel has resulted in increased demand for fracking chemicals. Increasing industrialization coupled with growing population and rising urbanization has increased the demand for energy sources, thereby supporting the growth of the fracking chemicals market. Other factors driving the fracking chemicals market include favorable regulatory policies and growing government initiatives and support. Growing demand from emerging economies, technological advancements, and significant increase in investments in research and development is expected to provide numerous growth opportunities in the coming years. The global Fracking Chemicals market is segmented on the basis of well type, fluid type, function, and region. Based on well type, the market is segmented into horizontal wells, and vertical wells. 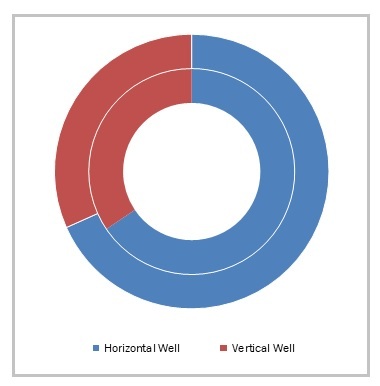 Horizontal wells dominated the global market in 2017 owing to its ability to harness greater amount of energy while offering higher productivity and efficiency. The fluid type is segmented foam-based fluids, water-based fluids, oil-based fluids, and others. The water-based fluids dominated the global market in 2017 owing to growing environmental concerns, and high productivity. On the basis of function, the market is segmented into Gelling Agent, Friction Reducer, Clay Control Agent, Cross-Linkers, Corrosion Inhibitor, Surfactant, PH Adjusting Agent, and others. In 2017, the gelling agent accounted for the highest market share in the global market. Geographically, the fracking chemicals market is segmented across North America, Europe, Asia-Pacific, Latin America, and MEA. North America is further segmented into U.S., Canada, and Mexico. Europe is divided into Germany, UK, Italy, France, and Rest of Europe. Asia-Pacific is bifurcated into China, India, Japan, and Rest of Asia-Pacific. North America generated the highest revenue in the market in 2017 owing to the presence of established drilling and exploration industry. The leading players in the fracking chemicals market include Halliburton Co., E.I. Dupont De Nemours & Co., BASF SE, Chevron Phillips Chemical Company, Baker Hughes Incorporated, The DOW Chemical Company, Calfrac Well Services Ltd., Albermarle Corporation, Akzo Nobel N.V., and Schlumberger Ltd. among others. The leading players in the market are introducing new innovative products in the market to cater to the consumers. Global players are entering new markets in developing regions to expand their customer base and strengthen market presence.